i don't know about you, but stress seems to have been a constant theme in my life the past few years with college, planning a wedding, and now a stressful full time job. i said a few weeks ago that i am done with stress ruling my life. so i've been doing a lot of thinking about what that will really look like. in addition to focusing on Jesus, there are little habits i can instill to make sure that it doesn't completely take over again. i also realized a few weeks ago that i haven't taken more than 1 day off of work at a time since May 2014. that's a year and a half without a decent vacation from work. and since this past year and a half has been super crazy at work, it's no wonder that i've been so stressed out. so, i am taking a full week off of work this month and taking some time for self care and rest. and i'll definitely be instilling these 5 things into my week! instead of spending our energy on stressing, we should spend it on exercising. exercise releases endorphins that make us feel better and more positive. plus if we exercise regularly, we'll be too tired to be stressed out ;) if we exercise outside, it's even better because we get that extra endorphin release and vitamin D from the sun! whether it's taking a walk, taking some vacation days off work, or actually getting out of town for the weekend... taking a step back from the daily routine really helps to relive stress and get a fresh perspective. it's called "getting out of dodge" for a reason! ;) it's not good to always run away from our problems, but every once in a while it is needed. i think this one is obvious, but it's a good reminder because when we're stressed, we're tempted to go for fast and convenient over nutritional. foods high in fat actually lower our energy levels, raise our cholesterol, and do tons of harmful things to our bodies. stress actually makes us crave junk food and sweets, but in the long run they make us feel worse. so it's good to remind myself to use these other methods of reducing stress, rather than resorting to addictive junk food. 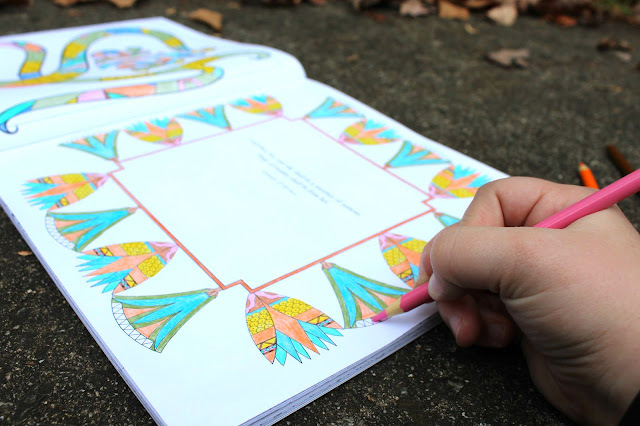 yes, coloring! it isn't just for kids! lately i've taken to coloring and it has been very therapeutic. sometimes i'll color while we watch tv, or i'll just color and listen to music. it gets my whole self concentrated on something else and the stress goes away for a little while. it is also nice to just focus on something so simple for a bit! it's even better when i can combine multiple ways at once. 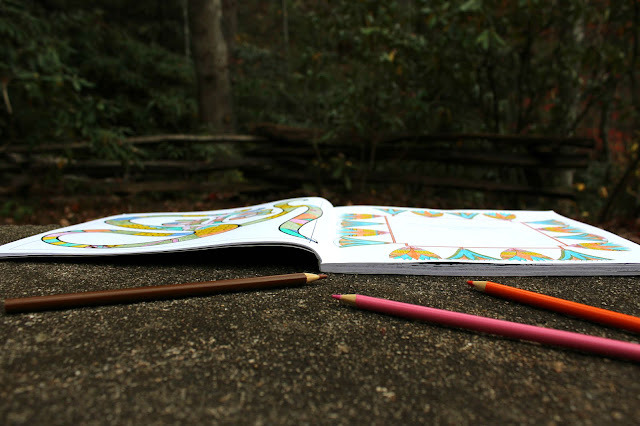 like two weekends ago when Thomas & i escaped to the woods to hike & then spent some time coloring in the great outdoors. or at least i did the coloring! 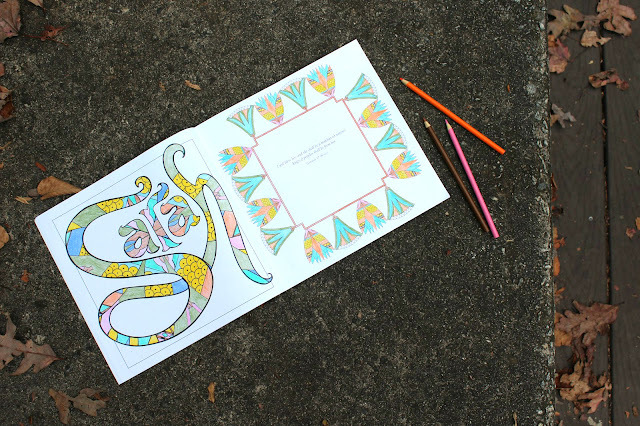 ;) another way to combine these is to color a scripture based coloring book. 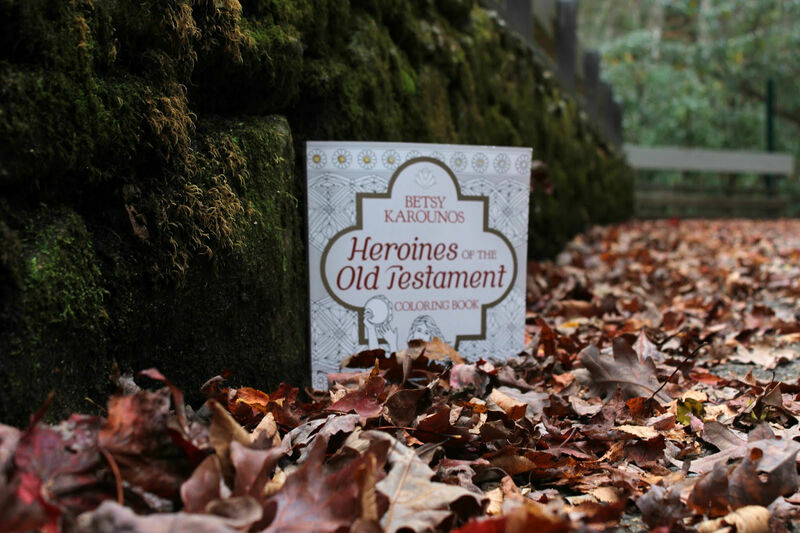 like this one pictured, Heroines of the Old Testament! 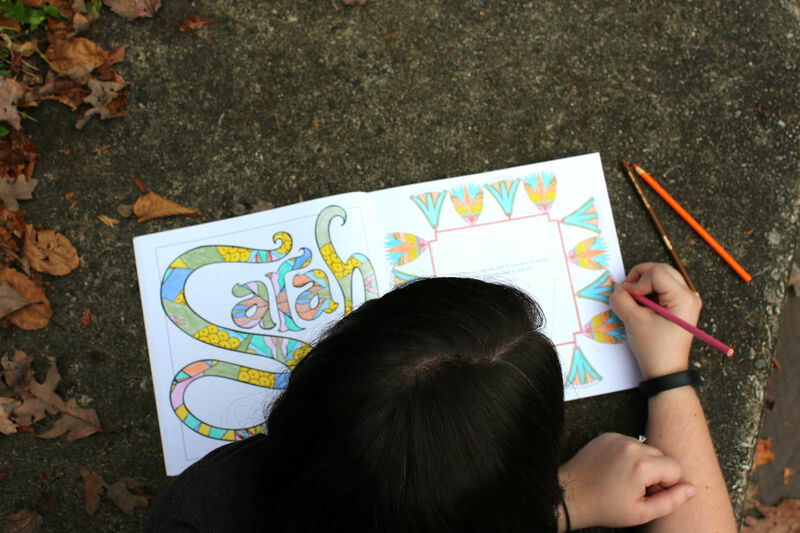 i love that something simple like coloring can incorporate scripture and that i can focus on the truth of these women's faith while coloring! there are also so many details in these drawings that it's like coloring in stained glass! 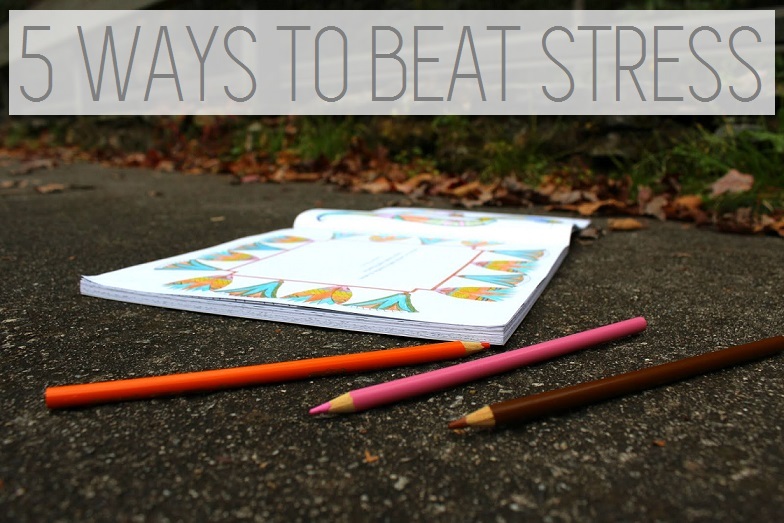 how do you take care of yourself & reduce stress?